Since 2011, Sol Collective has worked in partnership with the Sacramento History Museum to bring the ancient tradition of Dia de los Muertos (Day of the Dead) to the Sacramento community. Shrouded in mysticism for many Americans, Day of the Dead is a Mexican tradition celebrating and honoring the lives of relatives and ancestors past. Sol Collective will be hosting workshops in sugar skull making, altar building, and the history of Dia de los Muertos through arts. These workshops are open to anyone in the community interested in learning about the ancient traditions and culture behind Dia de los Muertos. 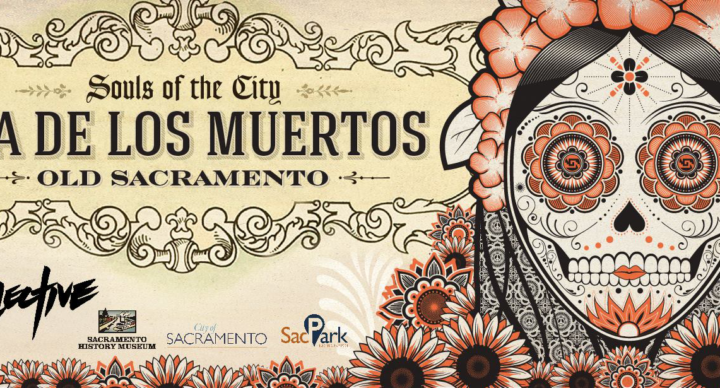 Honoring Our Past - October 18th, 6:00pm-8pm, Sacramento History Museum - Join community members as they discuss the meaning and history of Dia de los Muertos. Every year we honor community members who make a community impact. 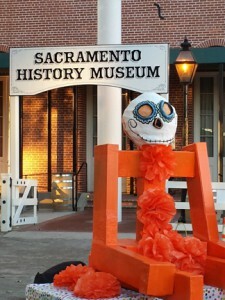 Souls of the City Festival - November 3rd, 4pm-9pm, On Front Street in front of the Sacramento History Museum- We invite the entire community to come join us as Sacramento Aztec Dancers Maquilli Tonatiuh lead the official Day of the Dead ceremony at the annual Souls of the City festival in Old Sacramento. For more information about Soul of City activities call 916-585-3136.